'All About Presentations' by Jazz Factory: How to present at a management fest? 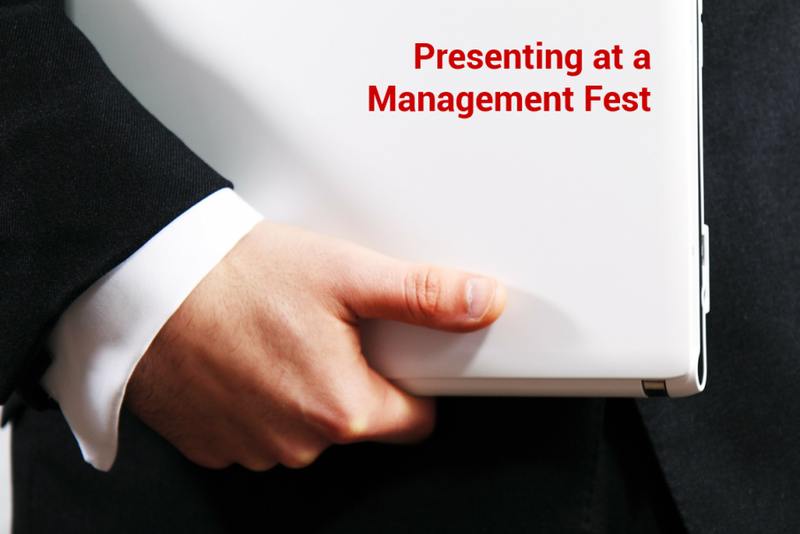 How to present at a management fest? Impressing the judges was the toughest job. As a judge, I realised, after a PPT ended I was hardly able to recall what the team had spoken about. I could remember just 2 to 3 things. After each pitch ended, I had to rate the team on the required parameters. So the crux for every team was to make an impact within those 5 minutes and ensure the judges were able to remember some of the stuff they spoke about. So what can you do, if you are tomorrow in the same situation? Less Content: Force yourself to share very few things in your 5 minute presentation. Depending on the task at hand, figure out what will make you win. In this case, the teams had to present a 3 month long advertising campaign to promote a new movie. If you say too many things, the judge will not remember. If you suggest 2 or 3 very innovative ideas, that's enough. Come up with something really good and then let that shine through. Do not cloud and clutter your good idea by sharing 9 more ideas. More Impact: Try to make sense overall. Do not go too fast, because time is less. Having 5 minutes does not mean you will fit in more stuff. The reason you have less time, is that the judges want you to separate the wheat from the chaff. 1. Do not have long list of bullet points on each slide. 2. Do not fill your slides with text. Since you do not have time for visuals (students were given less time and had no access to internet), keep the slides very light on text. Less text is better. Have few words on each slide. 3. Do not have too many slides. Since the time is less, do not waste it on making PPT. What the judge is looking for is quality content and not 7 PPT slides. Just have the topic header on each slide. Once the slide comes up, start talking. You can carry notes, as you did not have time to rehearse. 4. Do not go without a wireless presenter. None of the teams had a presenter that day. Thus they ended up saying 'next slide please' to the organiser every 45 seconds. 5. Do not speak too fast. Remember, less content and more impact. All the best.